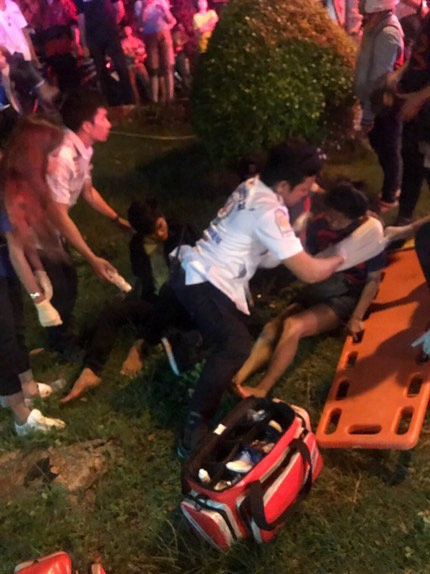 PHUKET:The devastating accident involving a tour bus carrying 21 Chinese tourists and three Thai tour guides on Patong Hill last night (Aug 6) has left two people in serious condition, Maj Teerasak Boonsaeng of the Patong Police confirmed to The Phuket News today (Aug 7). 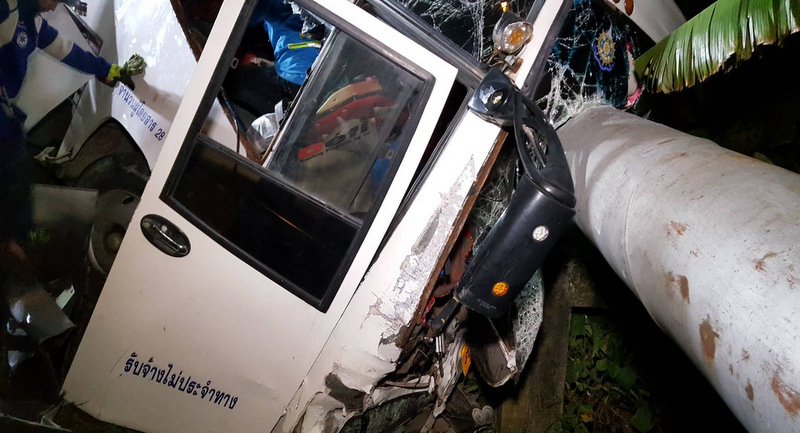 The driver of the tour bus, 65-year-old Prajuab Sirikul, and the driver of a motorbike, Atsawadee Jesawa, 31, are in serious condition at Vachira Phuket Hospital, said Maj Teerasak. Prajuab will face charges after his condition improves, Maj Teerasak told The Phuket News. 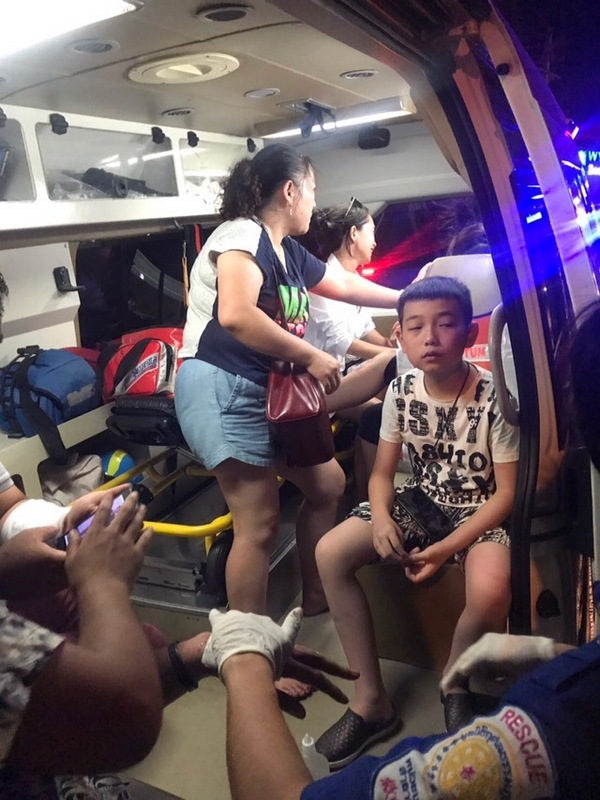 Nineteen of the 20 people on the tour bus taken to hospital for minor injuries have been released, he added. 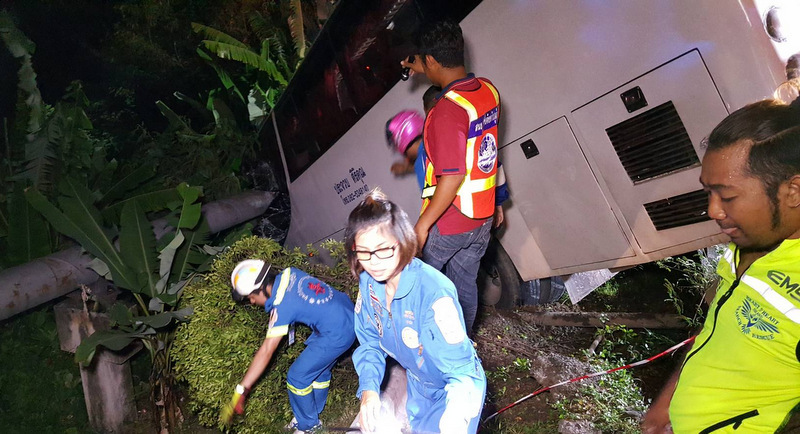 “According to initial information, the cause of the accident was Mr Prajuab (the tour bus driver) driving recklessly. The vehicle was in good condition, and although the accident happened at night there was no lack of lighting,” Maj Teerasak wrote in the accident report. 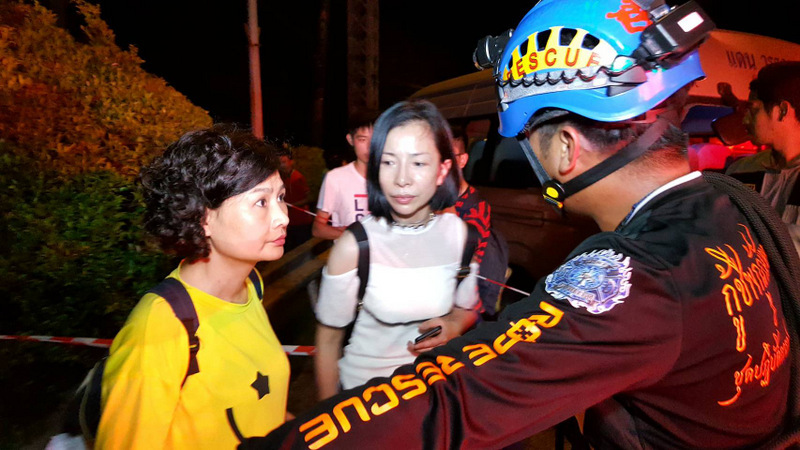 Mr Prajuab was returning 21 Chinese passengers and three tour guides from a dinner in Phuket Town to the Phuket Graceland Resort & Spa, he explained. “Passengers in that minivan sustained no injuries,” he said. “The tour bus then hit another minivan, causing the minivan to spin. 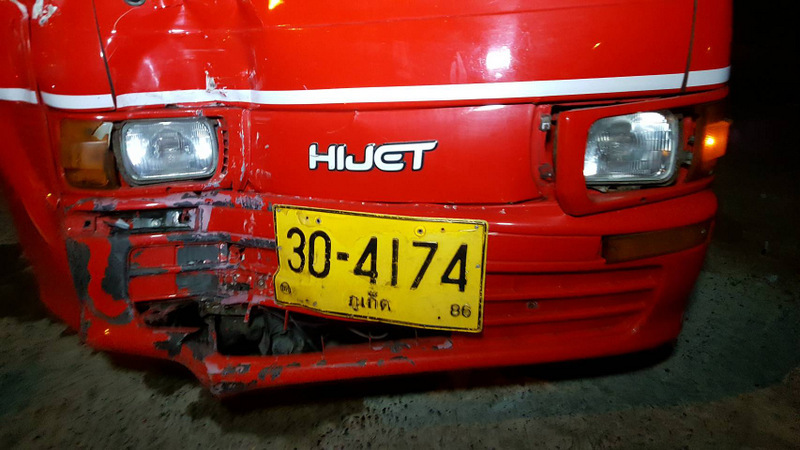 The minivan was then struck by a tuk-tuk following behind it. 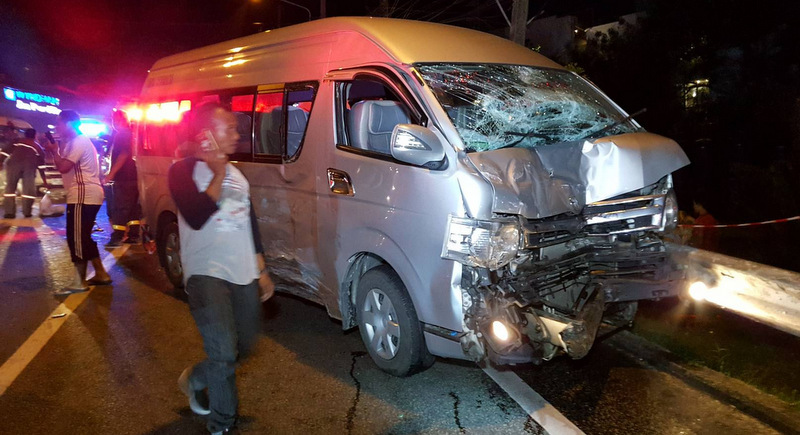 The driver of the second minivan and the tuk-tuk sustained minor injuries. “A motorbike following the tuk-tuk fell over, causing another (a third) minivan behind to run over the motorbike,” Maj Teerasak reported. 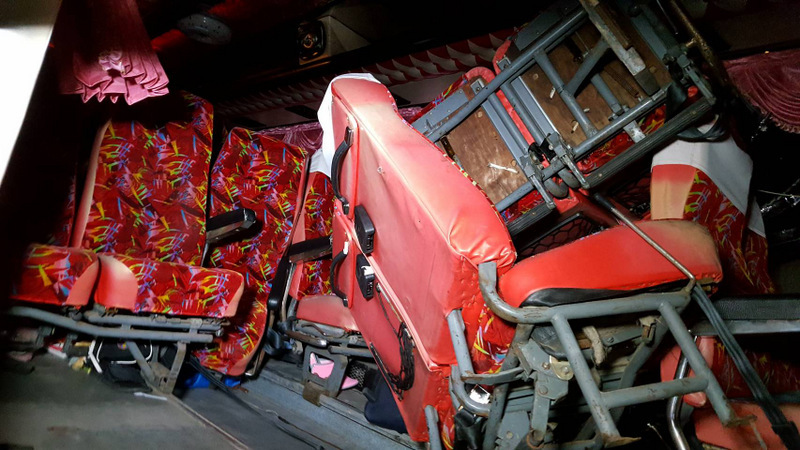 “After hitting the second minivan, the bus driver (Prajuab) steered the bus to the left through the road barrier and causing passengers to be injured,” he added. 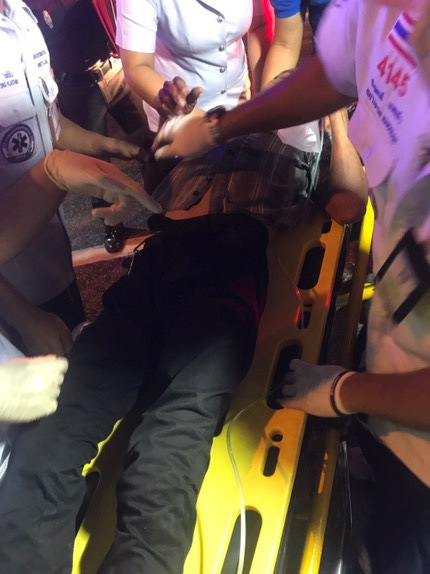 “Mr Prajuab will be charged when he is in better condition,” he said. Why wait to take tourists to the hospital at the bottom of the hill? Transfer them all to ambulances at the top of the hill and include a safe visit to the hospital as part of their tour. 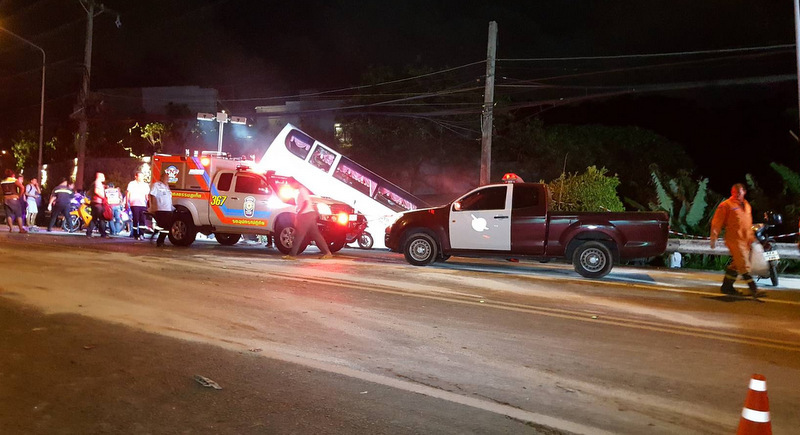 If these drivers continue to demonstrate their incompetence, its time that the Phuket governor banned the buses from Patong Hill. Until they have a better solution, they cannot allow buses to continue to maim and kill innocent residents. @agogohome, the problem is with the drivers, not the buses. But I agree they should be banned, these crashes are just far too often. Lots of talk but no action. The only solution to this on-going problem, is to ban ALL buses from Patong hill. Nothing else is going to work.